We are centrally located between Corbin, Whitley City and Somerset. 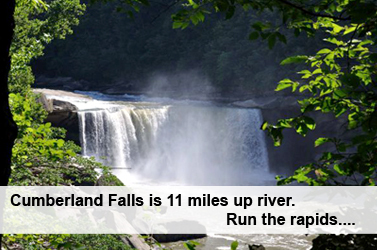 Minutes away from the Cumberland Falls State Park, the Big South Fork Scenic Railway, Sheltowee Trace Outfitters, Cumberland Star River Boat, and the Burnside Marina. We are centrally located between Corbin, Whitley City and Somerset. Minutes away from the Cumberland Falls State Park, the Big South Fork Scenic Railway, Sheltowee Trace Outfitters, Cumberland Star River Boat and the Burnside Marina. Come and join the fun for the Blazin Bluegrass Festival in September. Car shows all summer long. Be a part of the record breaking boat tie-up. There are so many things to do, witness a WWII reenactment, the choices are endless. Then, after a long day, relax in the woods on the water. Trailhead 519 is just behind the house. A 3.5 mile trail along the water down to Sawyer boat ramp. One of the many trails in the area. Noes boat ramp is at the end of 896 just a few minutes away. This is at the confluence of the Laural River and the Cumberland. One could be on the water in no time at all. 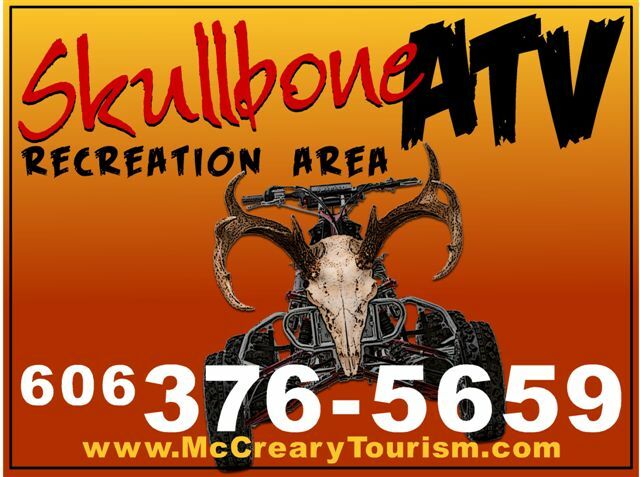 We have one of the newest and premier ATV parks in Kentucky. Our newly opened 1,000 acre park offers over 50 miles of developed trails, with new trails being added on a regular basis. Come see what McCreary County has to offer you!